Don’t settle for just any Snohomish County Septic Inspections; be warned that all inspections are not the same. In fact, there are two different types of providers that can legally inspect your septic system, starting with a Licensed Septic Tank Pumper, which sounds professional enough but the title itself does not take too much knowledge or experience to obtain. On the other hand, you can hire what is known as an O&M provider, in order to have this title the individual must take a certain number of classes each and every year, and they also must have a great deal of experience, along with higher bond levels. In other words, an O&M provider is much more qualified to take care of your septic system than a Licensed Septic Tank Pumper. 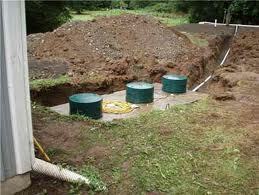 If you hire Septic Now for the job, you will be getting a highly experienced O&M inspector. Just as there are two different types of septic inspectors, there are also a variety of inspections people have done. 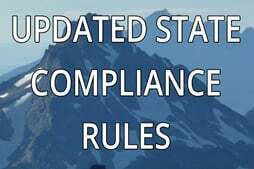 Depending on the type of septic system that you have, the number of years between each inspection might change according to County required maintenance laws. This law was established in 2007. For gravity systems, inspections are required every 3 years, while all other septic systems must be checked on an annual basis. There are real estate related reasons for septic system inspections as well, depending on the escrow company you are working with, the details will change; while some companies want tanks pumped before the sale can be considered official after only 6 months has passed from the last pump, others prove to be less stringent and set the limit at 1 or 2 years. There’s no one better to handle home sale inspections than one of our O&M providers. The only time an O&M inspection is not necessary is when it comes to routine pump maintenance and inspection, in which case a Licensed Septic Tank Pumper can get the job done as well. At Superior Septic we offer Snohomish County Septic Inspections that blow the competition out of the water! Our O&M providers have loads of experience and they are also licensed bonded and insured installers. Keep your septic system safe, sound, and up to legal standards without any hassle, we will take care of everything! Contact us now at 425-905-2485 or by clicking here.